The smell of your favorite flower or the sound of a hummingbird are easy reminders of how beautiful spring and summer are, especially after a cold and snowy winter season. 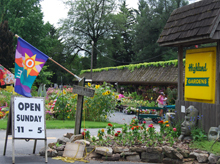 Cumberland Valley&apos;s garden shops, farmers markets, and home décor stores have everything you need to get your yard, recipes, and house ready for the new season. Find more fresh flowers, fruits, and vegetables at the collection of farmers markets spread throughout Cumberland Valley. View a complete list of farms and markets. TIP: Double-check hours of operation. Many locations are open seasonally. 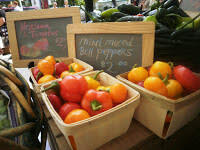 You can also follow the Fresh Picked Fun trip idea for even more delicious goodies. 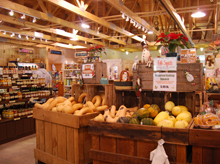 Hollabaugh Brothers Fruit Farm & Market - 545 Carlisle Rd, Biglerville; Hours vary seasonally. Whether you have a green thumb or are just starting your first garden, these classes are a great way to learn more about flowers and growing your own food. Ashcombe Farm & Greenhouses - Ashcombe presents a variety of classes throughout the year, but spring and summer classes are great for any gardener. Some events require pre-registration. Penn State Agricultural Office of Cumberland County - Provides a variety of informal workshops, conferences, and educational programs throughout the region focusing on topics such as trees, lawns, and landscaping, health; animals and livestock, and forage and food crops. They also work closely with the Cumberland County Master Gardeners program to host a series of lectures about home horticulture, plant science, and environmental stewardship through gardening. Find dates, times and more details on our Events Calendar. While spring and summer are great times to prepare and focus on the outside garden, don&apos;t forget about your indoor space. Places like Blooms by Vickrey, The Whimsical Poppy, and Pealer&apos;s Flowers can help you put together a floral arrangement for your home or find specialty décor items that aren&apos;t offered anywhere else.